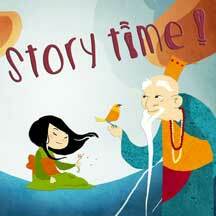 Ages 5-8 Titles from KIDS FIRST! LITTLE This title has online video! NOAH (2019) This title has online video! SHAZAM! This title has online video! DUMBO (2019) This title has online video! 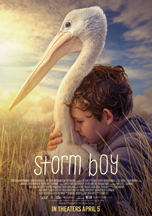 STORM BOY This title has online video! NANCY DREW AND THE HIDDEN STAIRCASE This title has online video! 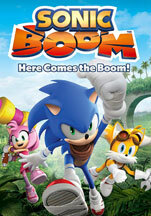 SONIC BOOM: HERE COMES THE BOOM This title has online video! Description - GSLV Mark3 is a two point of view narration told from a girl and also the ISRO team who wants to launch their GSLV mark 3 satellite into the space. There is a beautiful connect between girl and rocket which is about to launch. 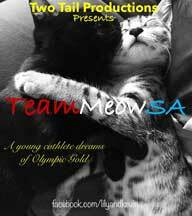 KIDS FIRST!® Adult Jurors say - I found this student produced documentary quite intriguing. 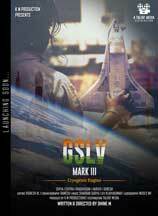 I wanted to know what a GSLV Mark 3 is and discovered that it is a satellite. The storyline is about dreams coming to light. I found it interesting to learn about India launching a satellite so their internet service is up to par with the rest of the world. 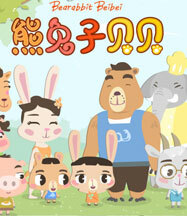 The storyline is pretty straightforward and sensible and the film is very easy to watch. I love the little girl who is clearly interested in aerospace. We see here playing with a toy rocket that her dad takes away from her. She imagines it as a real life rocket launching into space. There is deep joy when she rescues the rocket after her dad tosses it away and the next thing we see is an image of her as an astronaut! Who knows what dreams become reality. Kalpana Chawla was the first woman of Indian origin in space. This film appears to be the first of a series about Indians who have ventured into space or pursued a career in space. It's well produced with good visuals, audio and appropriate vocabulary. The location appears to be typical of a working class neighborhood in India. The footage of the space shuttle voyage from India draws the viewer in immediately. The location of the recycling pickup area is pivotal to the storyline. This has an inspiring message about realizing your dreams. 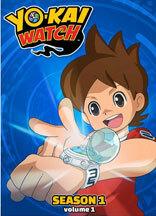 I recommend it for ages 10 to 18, plus adults and give it 4 out of 5 stars. The dialogue is in Hindi with English sub-titles. 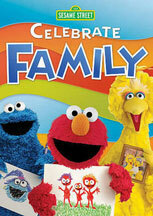 Reviewed by Kimberly M. and Julie S., KIDS FIRST! Jurors. 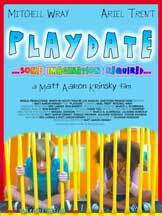 Description - A Boy and a Girl find themselves stuck on a playground with no electronic devices and must rediscover how to play using their imaginations. KIDS FIRST!® Adult Jurors say - I found this short film enjoyable because it tackles a current social issue of how much technology has taken over our lives, not just for adults but for young children as well. 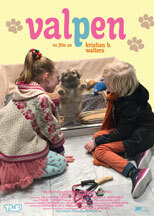 The live action film features two young kids, a boy and a girl, who find themselves on a playground trying to entertain themselves while their parents are in a meeting, without their electronic devices. It's a classic struggle of modern day kids who don't know how to play without their devices. As the storyline develops, the kids turn a cordoned off gazebo into a space ship and actually begin having fun - fun without electronic assistance. The talent is quite adorable. The black girl and the Caucasian boy contrast each other in looks and temperament, to some degree. Yet, they find common ground in the end. The playground set is bright and colorful. The background music is a bit contrite at times, although I enjoyed hearing the opening bars to 2001: A Space Odyssey and the music under the credits is delightful. I think this would make a great discussion starter at a film festival. It's well produced with excellent visuals and audio. 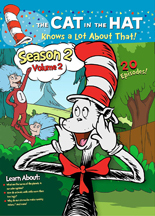 It would appeal to ages 8 to 12, as well as adults. I give it 4 out of 5 stars. Reviewed by Julie S., KIDS FIRST! Adult Juror. Description - Eagle Feather is an animated, feature length, family friendly story about Elizabeth, a young American Indian girl, and her single father as they journey into the wilderness early one morning to search for her first ceremonial eagle feather. On their way home father and daughter find a wounded eagle and in an effort to rescue the large bird take it to their family friend and local game warden. He informs our heroes that there have been a string of eagle shootings and that no one has any idea who the culprit may be or why it is happening. Knowing that Elizabeth's family's spirit animal is the eagle and that they still practice many of the old ways the game warden asks her father if he may know a way to help. Her dad does know a way but it will not be easy. Using all but forgotten Native American lore and shamanism the father and daughter begin a race against time that takes them deep into the wilds of the northwestern United States. Along the way her father and other elders teach Elizabeth about her people's ways and culture. Eagle Feather is a fun combination of drama, adventure, comedy and action that is based entirely on real events and the background music that plays continuously throughout is ancient ceremonial songs that were sung and recorded just for this film. KIDS FIRST!® Adult Jurors say - I highly recommend this remarkable film, which sensitively portrays Native Americans and their respect for nature and living things. The pace is slow and intentional. It may not be for everyone, but for those who want something more thoughtful than traditional fast paced box office hits, this offers an authentic look into another culture. 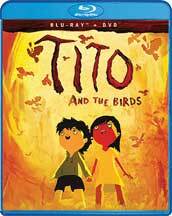 The story revolves around a Native American family whose spirit animal is the eagle. 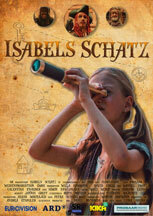 It begins with a young girl being taken by her father into the forest to find an eagle feature for herself. In the midst of doing that, they come upon an injured eagle that they take to her uncle for healing. While there, they learn about eagle shootings that have been going on and the uncle asks if they can help. It's not an easy passage to follow but they do, using a combination of tradition and experience to find the culprit. The animation is not full range animation so, if you're expecting a Disney level production, this is not it. 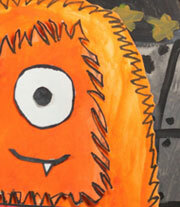 However, it is completely suitable in telling this story and works quite well. On top of that, the background music that plays throughout is traditional Native music which was recorded just for this film. The voice over talent is excellent. May only concern might be about the audio levels which, even when I boosted them, were a bit low. 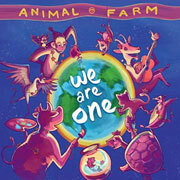 The message this film delivers is about living in harmony with nature and it's creatures. It's one that Native Americans exemplify and is shared throughout this film. 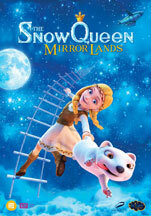 I give this film 4 out of 5 stars and recommend it for ages 7 to 14. Reviewed by Julie S., KIDS FIRST! Adult Juror. 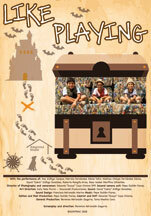 Description - This film is based on the true story of how one teacher's act of kindness changed a lonely boy's life. Now a District Attorney in South Carolina, Kevin Brackett, Esq, narrates the letter he sent to his teacher in 2017, sharing the events she set in motion with her caring gesture. Kevin begins his first day of 5th grade at Kenwood Elementary. He is 10-years-old and this is his fifth elementary school. A child of the military, he is always the new kid, shunned, lonely and friendless. His Air Force captain father was transferred from Colorado to Eglin Air Force Base, FL, so his family had to move once again. In Florida Kevin experiences his first hurricane, and then finds a compassionate and loving teacher in Mrs. McSheehy, who takes Kevin under her wing. An entertaining teacher, Mrs. McSheehy's boundless enthusiasm for literature is contagious, and a passion for reading sparks in Kevin's heart. 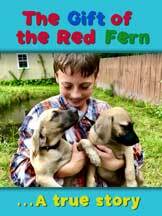 She reads "Where the Red Fern Grows" to the class, and he imagines himself as the main character Billy, running and wrestling with two adorable, rambunctious puppies. But sadly, after only a few months at Kenwood, Kevin's parents buy a house in another school district, and he has to leave Mrs. McSheehy's class. Both are heartbroken. After Kevin has gone on to his 6th elementary school, Mrs. McSheehy is inspired to reach out to him with a thoughtful act of kindness, which brings joy into his life in a way she never could have imagined. Until now. This movie highlights: Children of the Military; the Unsung Heroes who also make sacrifices for our country. Shunning, and how it is just another form of Bullying. How the Right book can ignite a passion in your heart for Reading, and change the course of your Life. How Puppies can brighten anyone's day! 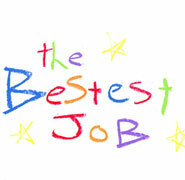 KIDS FIRST!® Adult Jurors say - I love this documentary film and I think others will love it too. It is really outstanding and shows how one person's kindness affects another in such a meaningful way. The story is about a kid, Kevin Bracket and the influence that his 5th grade teacher made on his life. Kevin narrates the letter he sent to Mrs. McSheehy who takes Kevin under her wing when he lands in her class after a tumultuous round of moving from school to school, as a child of a military dad. It's a story about a kid who grows up and becomes a man and thanks to Mrs. McSheehy's kindnesses, it impacted his life in a huge way. Kindness should never be underestimated. 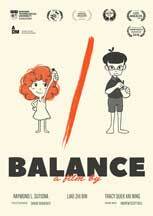 What is most appealing about this film is seeing how the boy has to readjust to a new lifestyle each time. He attended 6 different schools in 3 states and 2 countries during that time. It shows how one teacher made such a huge impact on his life. 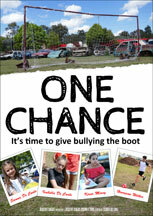 The film is beautifully shot, with re-enactments of children the age that Kevin was at the time the incident took place. It flows well, makes sense and inspires at a deep level. The filmmaker is Mrs. McSheehy's daughter who read Kevin's letter and felt compelled to create a film out of it, not just for her mother but for teachers everywhere who haven't received a letter but have contributed to the lives of the many children they have worked with over the years. The production quality is excellent and the topic is certainly one that kids and adults can relate to, whether or not you have lived the military life. 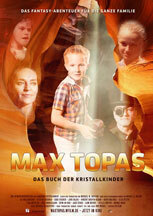 I give this film 5 out of 5 stars and recommend it for ages 7 to 16, as well as adults. 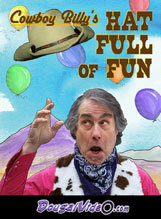 Reviewed by Sev'n F. and Julie S., KIDS FIRST! Film Critic and KIDS FIRST! Adult jurors.